I love chocolates more than anything else! Who doesn’t? and if you don’t love chocolate then I am sure you will fall in love after seeing this. If this does not melt your heart, then I don’t know what will? I am fiendish about chocolates and I don’t just say it, I absolutely mean it. Trying out new desserts has become an addiction and I was surprised when I came across these new variants KitKat Dessert Delight. 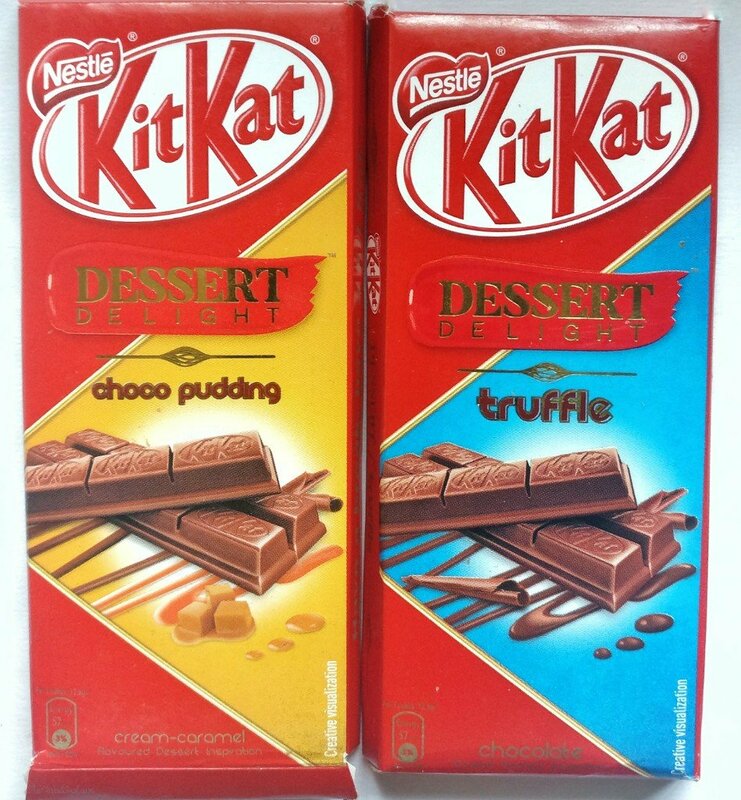 My favourite childhood chocolate, Kitkat, has launched two new reasons to indulge in it once again; Choco Pudding and Truffle. It would be highly unfair to pick one variant over the other, so, I pick both. With a low cost of Rs.55 each for a 50g pack, the taste is rich and indulgent. Choco Pudding: I was intrigued by the packaging of this one and took a wild guess of the flavour even before I ripped apart the wrapper. I loved the texture of this mouth melting delight and how it left me wanting more. Chocolate Truffle: Now this was an absolute chocolate fantasy. It is rich, smooth and should be indulged in selfishly. So many of you have been asking flooding my Instagram post trying to find the store origins of these. I just happened to find these on an impulse buy rack at Star Bazar during one of my grocery shopping trips. The brightly adorned chocolate rack could not escape my attention. It was just by mere coincidence and a roving dessert lover’s eye that I found these. So what are you waiting for? 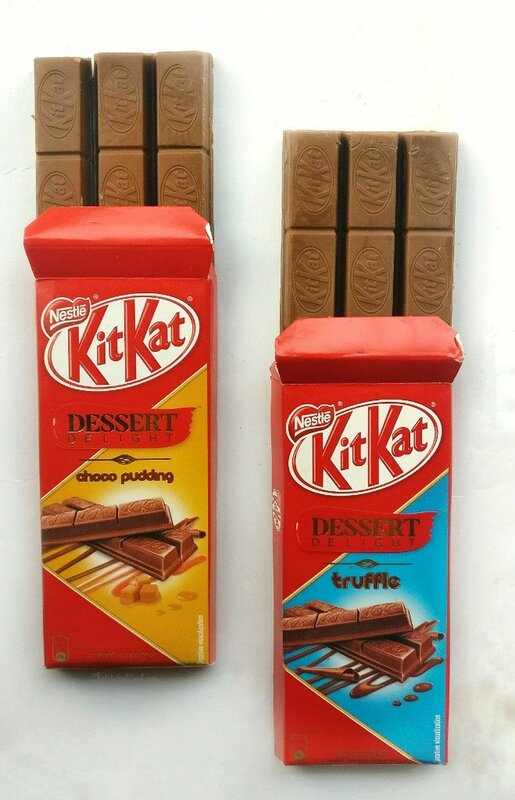 Try these Kitkat dessert delights at your nearest store & hurry up before they fly off the shelves. Do let me know in comments below if you have tried these new twin delights and how did you like it?